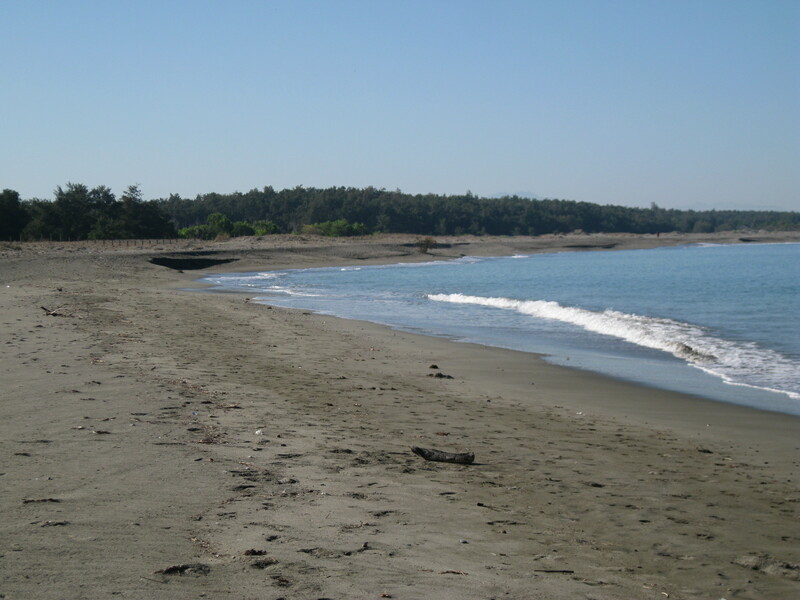 The Sand Dunes in Ilocos Norte had become a tourist attraction since the early 80s with the construction of the Fort Ilocandia Resort Hotel and for being a popular site for movie shooting location of so many local as well as foreign films in the past. The complex had been planned to be the location of a world-class tourist destination; a sports haven; an entertainment and gambling paradise; and an export processing for industrial and manufacturing firms. But due to political developments, everything (all the plans) had to be buried in the sand with only the Fort Ilocandia Resort Complex; a Golf Course; an International Airport; and some road systems opened and paved as projects that had been realized as part of the grand plan for the place. 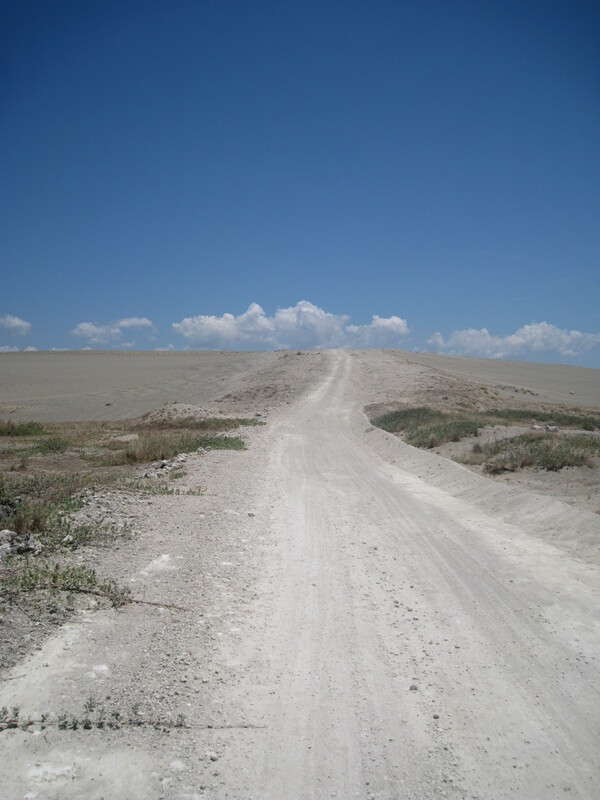 The Sand Dunes of Ilocos Norte remain to be untouched except for the endless tracts of 4 X 4 all-terrain vehicles. I thought that if all-terrain vehicles could navigate and create paths on these desert and sand dunes formations, runners and pedestrian adventure seekers are not far behind to experience what it is like to have fun in running and hiking on the sand dunes of Ilocos Norte. 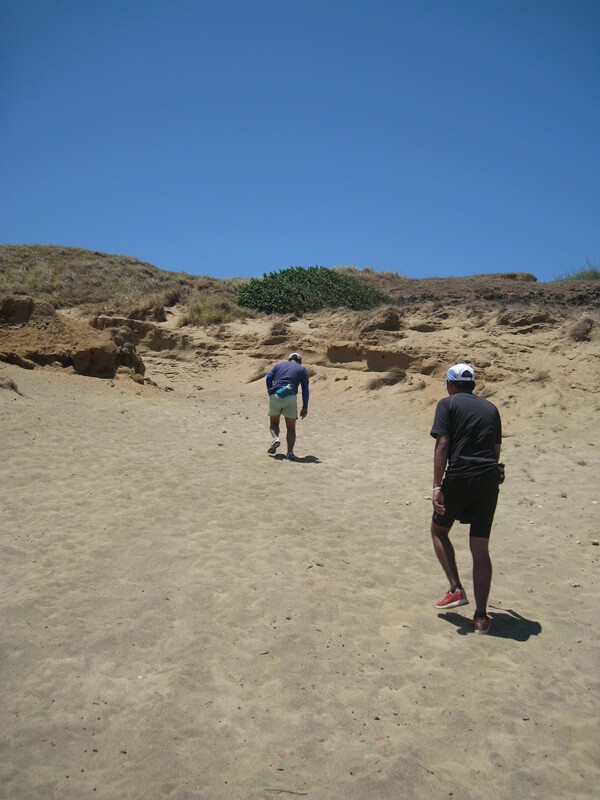 So, a plan had been hatched to run, jog, and walk along the said sand dunes and relive the history of the place. I visited the tomb/grave of my mother in Laoag City and offered a prayer on her supposed to be 87th Birthday last April 7, 2012 but I made my trip on April 9. 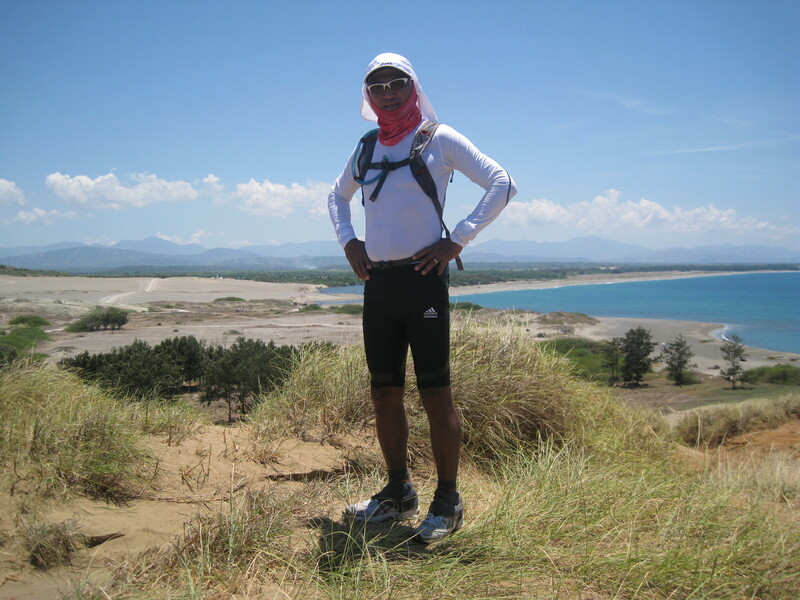 On the following day, I was scheduled to run along the Sand Dunes of Laoag City up to Paoay, Ilocos Norte and if time permits, I could extend my run up to the Currimao Beach. 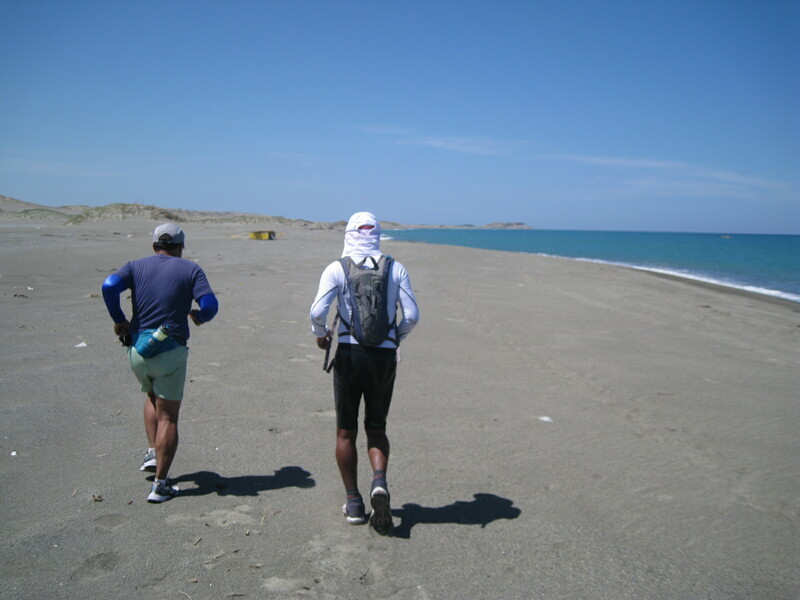 The plan was to come up with a route along the Sand Dunes which can cover a distance of a Marathon (42.195 kilometers). 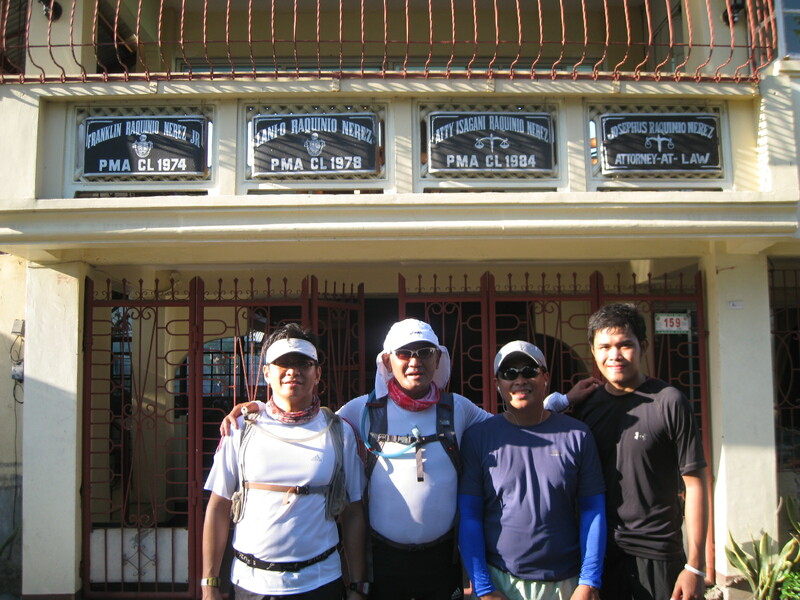 Dr. Chester Puno of Bad Circle/Team KIMAT and Running High Specialty Running Store of Laoag City, Rogelio Alcaraz Alejandro Jr of Team KIMAT, and my nephew Duckie joined me in this recon run. The run started at the City Hall of Laoag City at about 6:15 AM and our direction was to reach Barangay Gabu as we passed along the Laoag Bridge by going South and then to the West. Short conversations while we were running made our run effortless as we maintained a steady easy pace. We had a brief stop as soon as we reached Barangay Gabu where we met familiar faces as residents of the place. 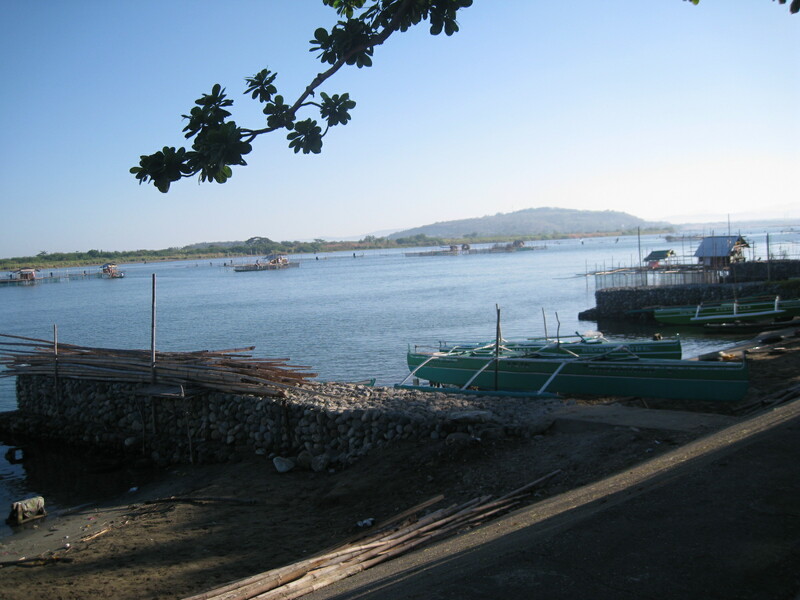 We had also some photo-ops with the mouth of Laoag River as it exits on the South China Sea. 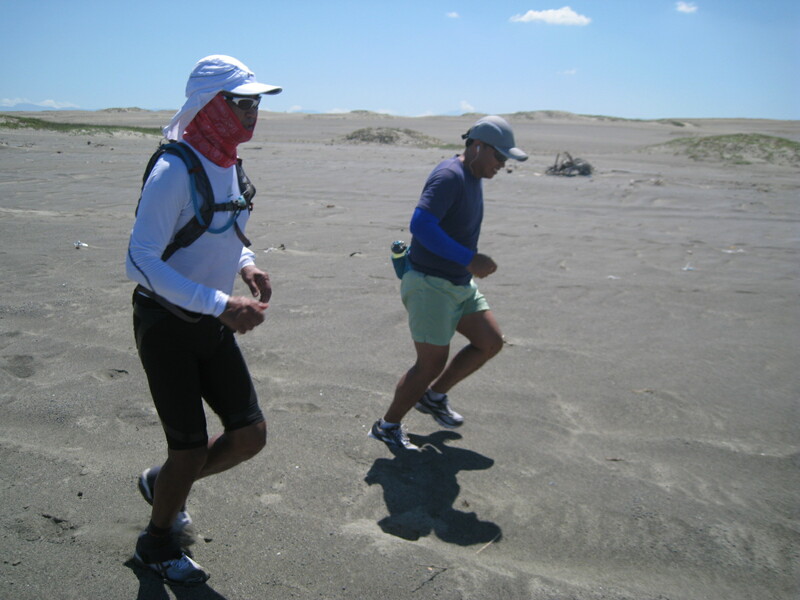 After a short run from the populated area of the Barangay, we reached the entry of the Sand Dunes of Laoag City which is considered as the northernmost portion of the area. Looking as far as the eyes can see, I can see the tip of the southernmost part of the Sand Dunes which happens to be called, Culili Point, a small hill which is already a part of the next town, Paoay. 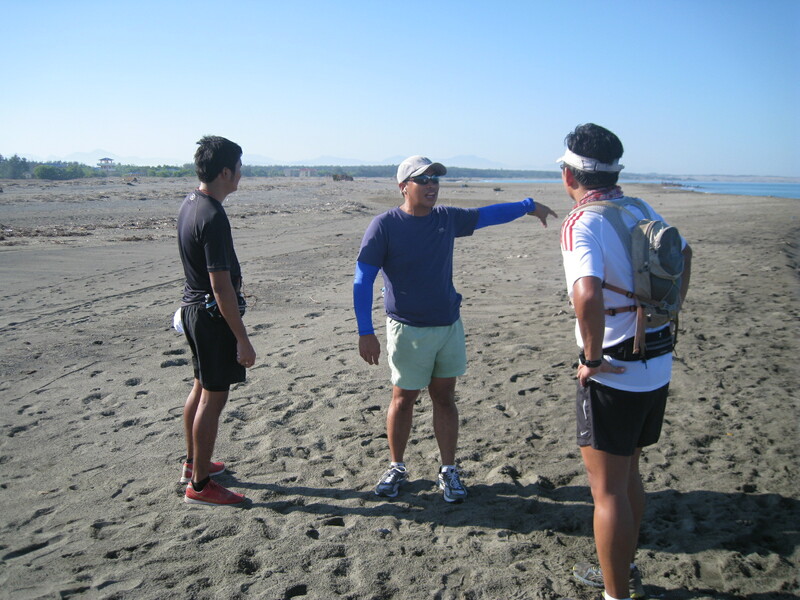 I told to the group that after running for almost 9 kilometers from Laoag City, we have to reach the said Culili Point and find out if we could run along the beach up to the next town, Currimao. But I told them that we had to make a pit stop at the eateries along the beach of the Fort Ilocandia Resort for our breakfast. So, we continued our run along the beach and the sun was about to be seen on the eastern horizon. 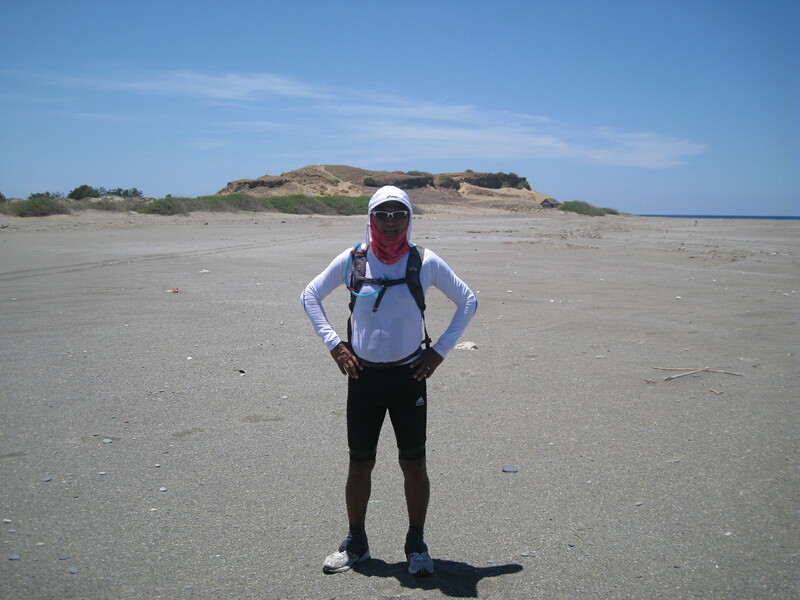 Running on the sand dunes with the heat of the sun in Ilocos Norte could rival with the heat which I experienced when I visited Badwater, California in 2009. It was so hard to run as our feet would land on the loose ground and have our leg muscles exert some more force to lift them for the next step. Running would later become slower into jogging and ends to brisk walking. After more than one hour of jogging along the sand dunes, we reached the area of the Fort Ilocandia Resort Complex and it was time to have our breakfast in one of the eateries along the beach. 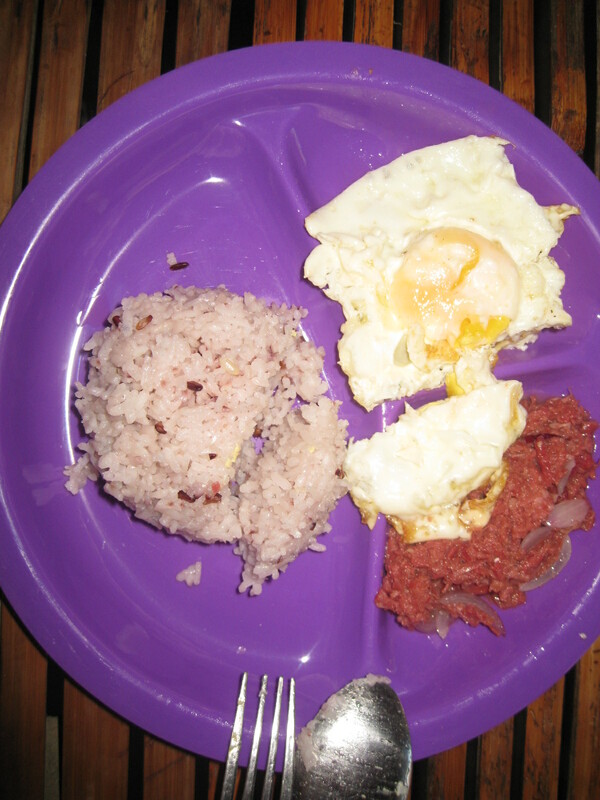 We ordered breakfast meal with fried eggs and corned beef and we were surprised that our meal had the native rice as part of the breakfast order. We were really hungry and enjoyed our meal. We also replenished our water supply on our hydration system and had a brief rest after our meal. Culili Point Is Still Far! Culili Point was always on our sight as our destination before proceeding to the beach of Currimao. From the Fort Ilocandia Complex, the heat of the sun was already taking its toll on us as we continued our run-jog-walk along the beach. There are group of fishermen who were pulling their fishing nets from the sea and some of them were resting in temporary makeshift. It was nice to talk to these people as they were surprised that they saw us to be running along the beach at a time when the sun was already almost on top of us. A Water Well At The Sand Dunes. It was our Savior from the Heat & Dehydration! 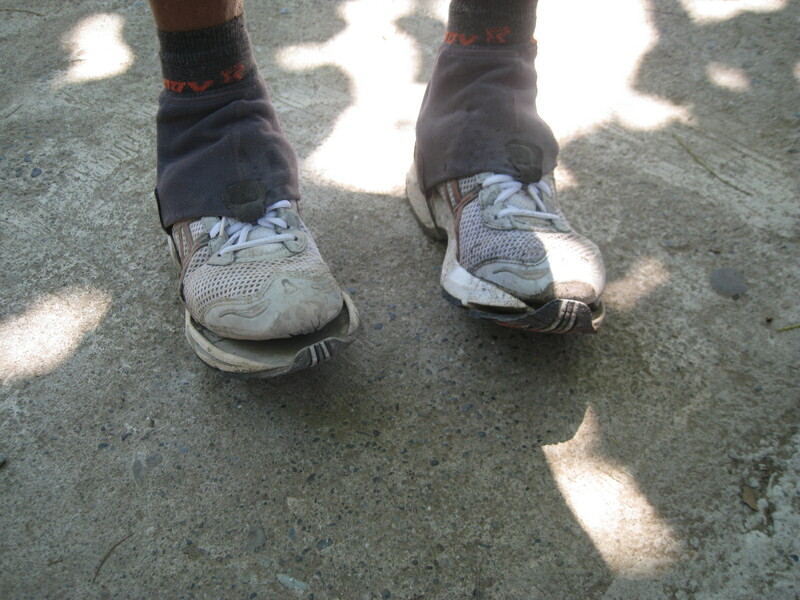 We rested on this makeshift as we unlaced our running shoes to remove the sands that were inside our shoes. The longer we ran on the sand, our shoes became heavier as the finer sands would enter on the mesh of the upper part of our shoes and from our ankles. Nobody from us were using gaiters and there was no way we can prevent the sands from entering our shoes. 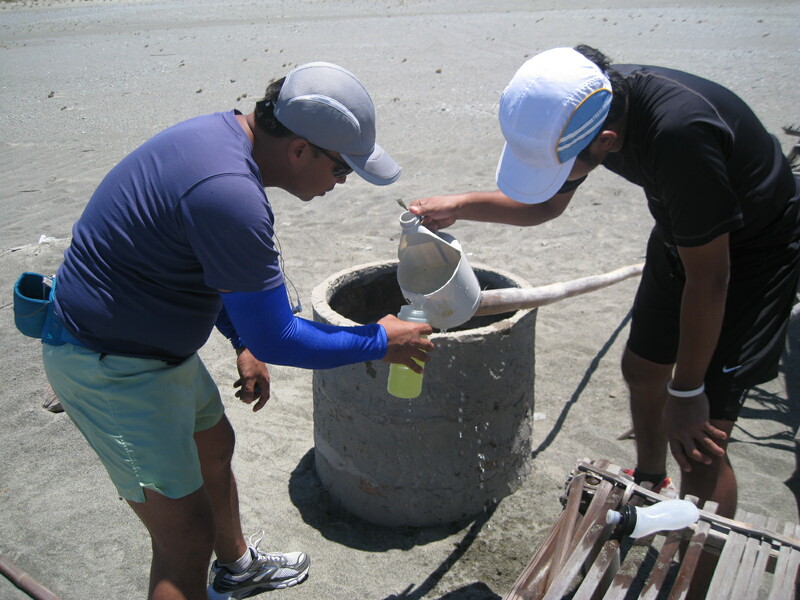 Later, it became a ritual to have brief stops along the route in order to remove the sand from our shoes. Our conversation with the fishermen led us to know that there are water wells on the sand dunes where we can re-supply our water supply. We looked for the water well and it was refreshing to pour more water to our heads and bodies for the needed cooling effect to bring down the heat of our bodies. From this water well, our target destination was within our grasps. But sometimes the heat of the sun would play on us. We thought the distance to the Culili Point would be estimated to be one kilometer from us but in reality it took us forever to reach its foot. It took us almost 30 minutes to cover the last kilometer up to the peak of the hill. My companions took a pit stop at its foot while I just went directly to its peak without resting. The all-around view from the peak of Culili Point was beautiful! The Currimao Beach was on my sight in the south, the South China Sea on my west and the Sand Dunes on the north and east directions. After some photo-ops with my companios on top of the Culili Point, I decided to end the run and find a route that goes back to the highway that would lead us to Paoay. We had been running for the past 6 hours and we have yet to reach the highway. 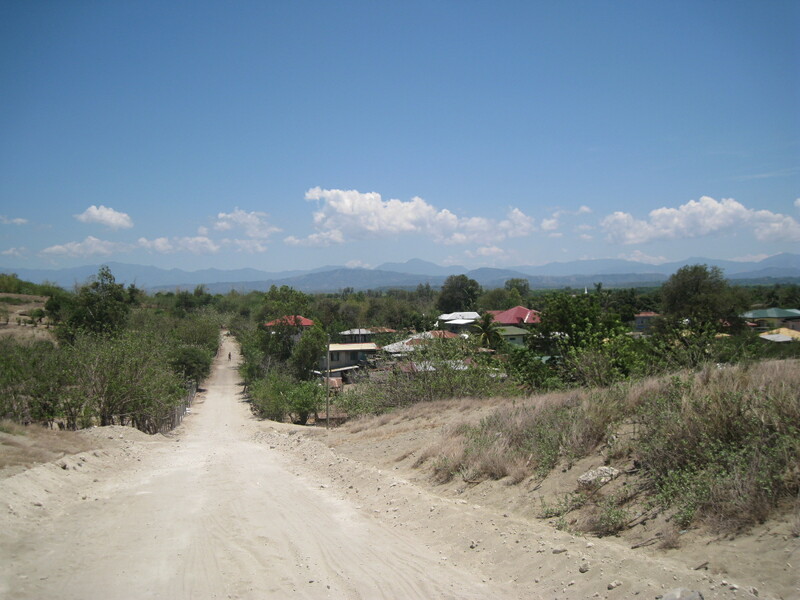 Our run towards the highway was very challenging as there were uphill climbs and soaring heat of the sun. After almost 3 kilometers, we reached a populated area where we stopped for more water to douse our hot bodies. We have to hydrate ourselves and take some of our power bars just to fight fatigue to our bodies. I am glad one of our companion’s friend fetched us on the said barangay aboard a car and it was a great feeling to be sitting in a car with the air coming from the shaded portions of the road. 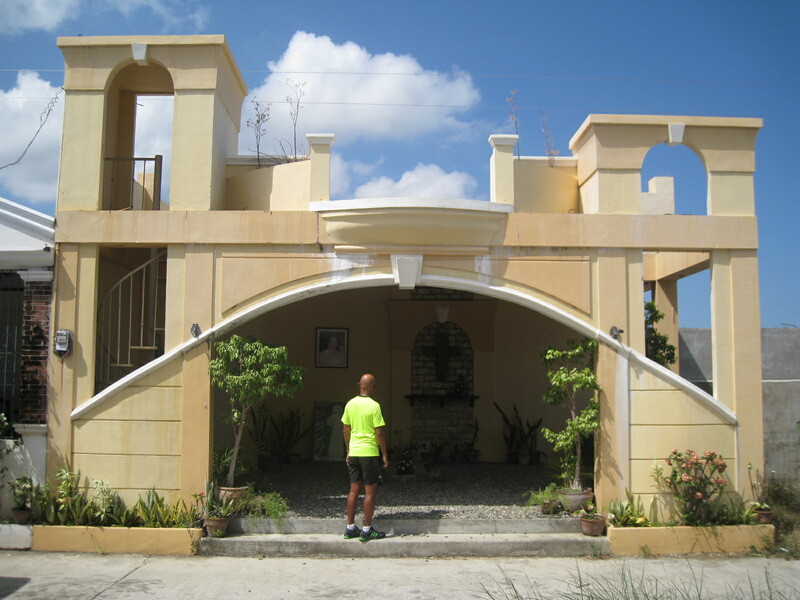 If not for the car that fetched us, we had another 3 kilometers to run and jog just to be able to reach the paved road leading to the town of Paoay. To replenish ourselves with a lunch, we were treated with hot bulalo meal and other ilocano recipes in one of the eateries in Paoay. The lunch and the ice-cooled soda drinks were enough reward for our sand dunes adventure run. 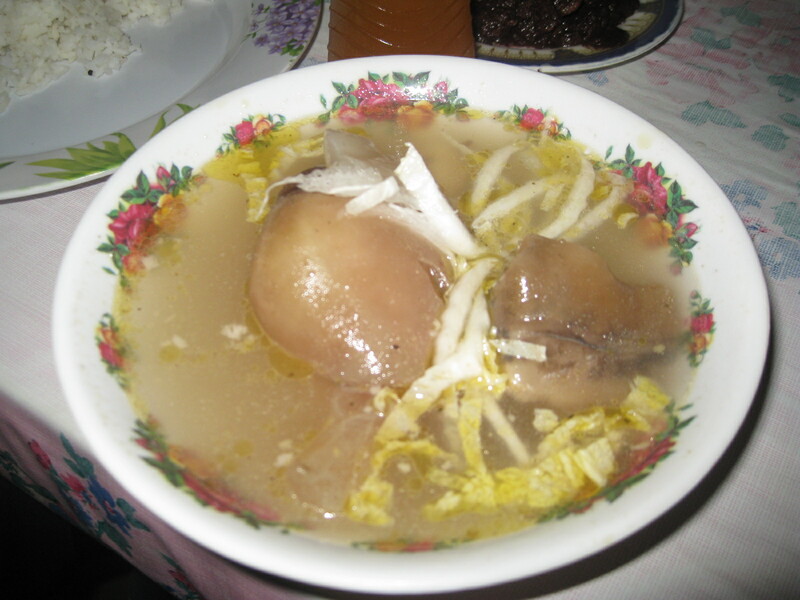 The Reward: P 35 Pesos Worth Of Hot Bulalo! The recon run registered a distance of 25 kilometers which took us almost seven (7) hours of fun and adventure. I promised myself to be back and extend my run up to the beach of Currimao and if possible, come up with an ultra running event in this place.